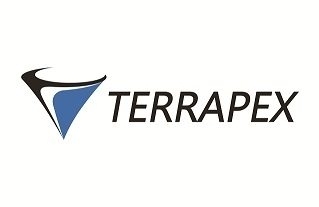 TERRAPEX ENVIRONMENTAL LTD. is a dynamic and fully integrated Canadian engineering and geosciences company, providing specialized environmental consulting services. Established in 1995, Terrapex is a 100% Canadian-owned firm that has grown to include offices in Toronto, Burlington and Ottawa, Ontario. Our business is built upon our core values of integrity, technical excellence, personal service, and practical approach. We pride ourselves on our reputation for quality work, which is reflected by the number of repeat clients and referrals we earn. During our 20 year history, Terrapex has developed a reputation as an industry leader in the assessment and remediation of contaminated sites. Other areas of expertise include: contaminant management, facilities decommissioning, peer reviews and expert witness testimony, environmental regulatory compliance and management systems. Since inception, Terrapex has completed thousands of engineering and environmental projects for a wide range of private- and public-sector clients. Terrapex operates under Certificates of Authorization granted by Professional Engineers Ontario and by the Association of Professional Geoscientists of Ontario. Terrapex is committed to adding value to our clients’ operations while maintaining a challenging and rewarding work environment to our staff. We believe in partnering with our clients to solve their environmental issues. Our staff listen to their clients so that specific needs and expectations are met on a project by project basis. The health and safety of our staff and all those affected by our work are paramount. Terrapex provides comprehensive health and safety training to all staff, and we are committed to the principle of zero harm in all our projects. Taking the time to understand our client's concerns and project-specific issues allows for the provision of personal service that addresses the unique requirements of each given project, while delivering results and recommendations with integrity and transparency. Confidentiality is maintained and the bottom line respected during each and every each project we complete.